Explanation: Please wait while one of the largest mobile machines in the world crosses the road. 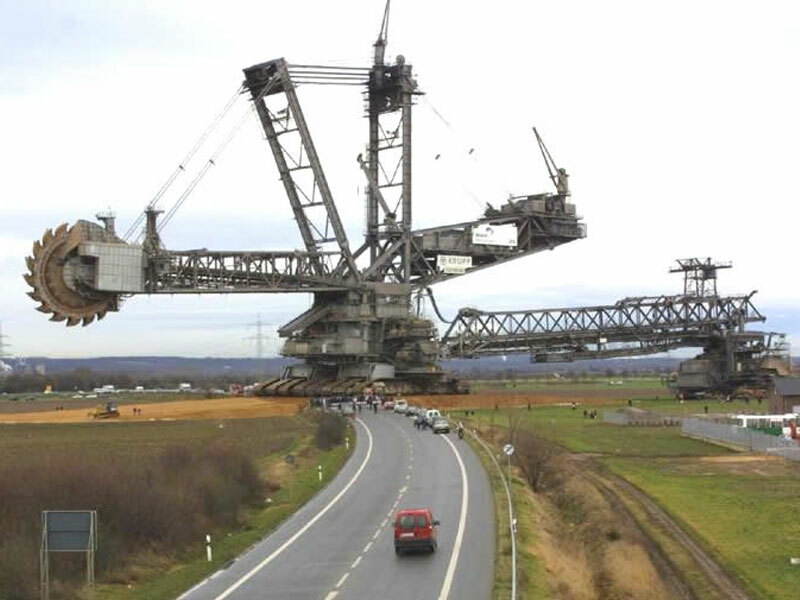 The machine pictured above is a bucket-wheel excavator used in modern surface mining. Machines like this have given humanity the ability to mine minerals and change the face of planet Earth in new and dramatic ways. Some open pit mines, for example, are visible from orbit. The largest excavators are over 200 meters long and 100 meters high, now dwarfing the huge NASA Crawler that transports space shuttles to the launch pads. 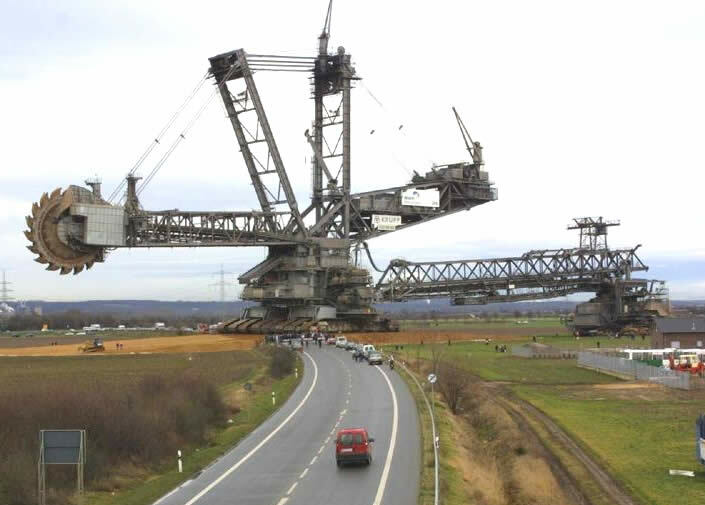 Bucket-wheel excavators can dig a hole the length of a football field to over 25 meters deep in a single day. They may take a while to cross a road, though, with a top speed under one kilometer per hour.